New! Free pattern for 1911 Child's Toque! US customers always receive free shipping with a $50.00 order! Important update for international customers (out of USA): I'm now using a "freight forwarding" service to ship international packages, due to changes in USPS international services. It will save Canadian customers (and possibly other countries) significantly on shipping charges, but may add additional time for your package to arrive. Please contact me if you have questions or need to get your package in a hurry and I'm happy to explore other options! Sale continues! 50% off store-wide! 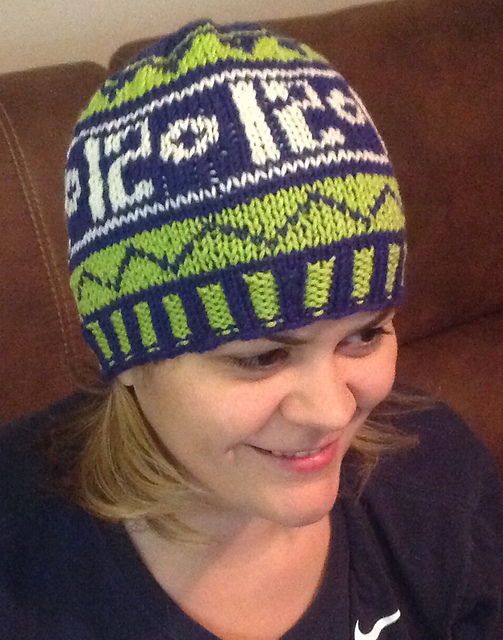 Free Pattern for 'Hawks Hat! I've updated my free patterns page, with patterns designed by me over the years plus patterns from my "Year of Weldon's" blog project. Having trouble logging into your account? Several customers have experienced problems signing in. If you are unable to log in, please request that your password be emailed to you (click the "forgot password" link on the log in page) You'll receive a new temporary password; copy and paste this password into the log in screen along with your email address. You can then change the temporary password to one of your choice. If that doesn't work, please email me and I'll help! Need that special pattern in a hurry? I am happy to scan a .pdf of a pattern (single pattern only please) and email it to you, once you have purchased the actual pattern. I am unable to scan patterns unless you have actually purchased the item, as I wish to respect copyright laws. Email me to request a .pdf file (you'll need Adobe Reader).